Today it's all about skincare. I've been so obsessed with my skin this year it's a bit scary. 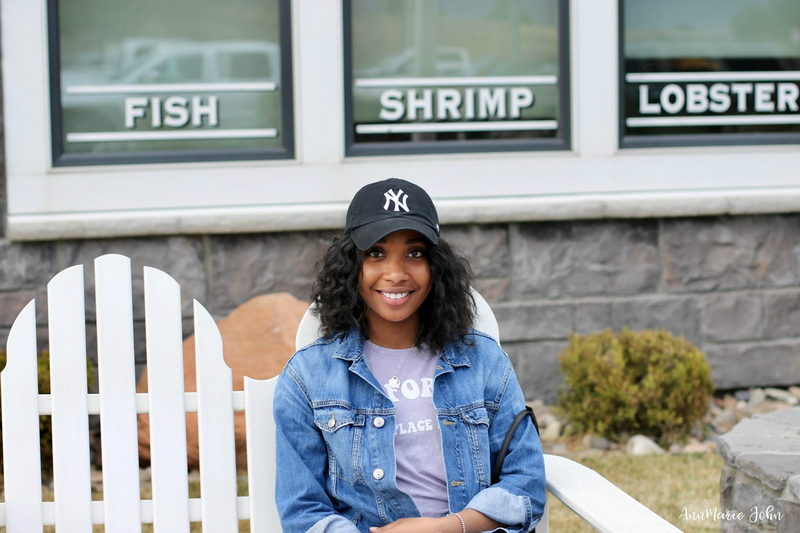 I tossed aside all my makeup and made a resolution to better the way I take care of my skin. I've noticed I've been developing more combination skin lately ever since my recent move to Denver. My oily t-zone is a nightmare! 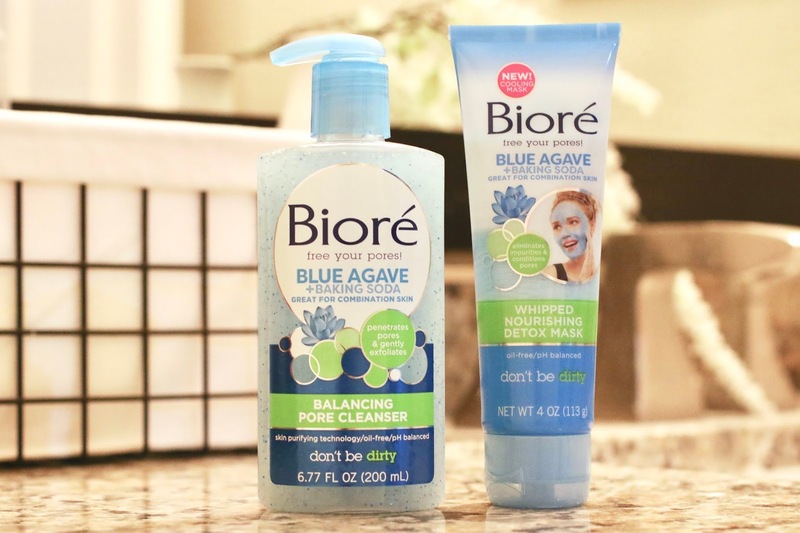 While browsing around Target, as I do way too often, I ended up in the beauty second initially going to restock my favorite pore strips and stumbled upon some new and really cool looking Bioré skincare products. Not gonna lie, what had me shook was the color. I can't help but be intrigued by fascinating colors and I also couldn't help but wonder what a combination of blue agave and baking soda would do to my much needed rescue skin. It's rather rude to not give a formal introduction so here goes nothing: introducing the all new Bioré Blue Agave + Baking Soda Whipped Nourishing Detox Mask and Balancing Pore Cleanser! I don't know where to start first. Bioré is a brand that I trust because they really got your back and you can trust that they're paying attention to your pores (as you know I'm one who swears by their pore strips to this day). Each product has their own unique features so let's start with the cleanser. My absolute favorite thing about the cleanser is that it gently exfoliates your skin while conditioning and balancing your skin. Turns out that theres jojoba beads in this thing! So you can expect for your skin to be smooth and refreshed after a good wash. With the combination of the baking soda to do some deep cleaning and the blue agave to sooth and nourish, it's no wonder that it's perfect for combination skin. It's the ultimate combo for a combo! And it's pretty simple to use, all you have to do is wet your skin, pump the cleaner into your hands and lather, massage over your entire face, and rinse thoroughly. I don't know if it's just me but my skin feels so much cleaner right after the first wash.
Now when it comes to the mask, I'm obsessed! This stuff if the detox I've been searching for. The mask definitely targets your pores and that's the one thing that drives me crazy about my skin, clogged pores (yuck). While wearing this mask I can feel the tingly sensation knowing that my skin is receiving that good old deeeeeeeeeep clean. The whipped and creamy texture makes it easy to apply and all you have to do is chill out for about 3-5 minutes and let it do its magic. If this doesn't make you wanna try it for yourself, you're sure to be missing out! You can purchase these beauties at your local Target, Walmart, and most major retailers like Amazon.com. These products are especially for those with combination skin, if you're more on the sensitive side, I would advise or have had bad experiences with menthol, sadly these may not be the products for you. However if you're like me and you have dry/oily patches here and there, here are your miracles! Let me know what you guys think in the comments below! Which one are you interested in trying first?